Normally a cleanser isn't much to get excited about. But when it cleanses, hydrates, removes makeup and helps clear skin all in one step? That's pretty exciting. Kat Burki's Ocean Mineral Gel Cleanser is one of the best multi-tasking cleansers I've ever used. I've noticed a great improvement in my skin's clarity and tone thanks to this cleanser. I absolutely love it! Key Ingredients | KB5TM Complex improves skin's elasticity for a more luminous complexion. Ocean Mineral Complex helps strengthen skin and promotes its restorative properties. Rose hip seed oil, orange peel and grapefruit seeds work to brighten skin and leave it soft and supple. (I notice this effect immediately after rinsing!) Tea tree oil helps heal skin and keep it clear. Methylsulfonylmethane helps skin absorb moisture and plump more easily. Formula | This gel cleanser is a thick consistency that can easily be spread onto the face prior to using a facial cleansing tool or usual cleansing by hand. I find it to be very soothing and easy to work into the skin without dripping or absorbing too quickly. It's very rich considering it's a gel formulation! I also love the smell from the orange peel. It's got a very distinct citrus scent which is nice for the summer. Performance | I've used this cleanser to remove makeup as well as for a soothing cleanse in the morning or at night. I love how it removes my makeup while still leaving my skin feeling hydrated and supple. There's no residue, it removes every bit of makeup (including mascara), and leaves my skin feeling refreshed. I also love the added benefit of tea tree oil to keep my skin clear because I need to stay away from salicylic acid during pregnancy. Tea tree oil is a great alternative! I also notice an instant improvement in my skin's texture because of all the hydrating oils. This is really a fantastic multi-tasker! 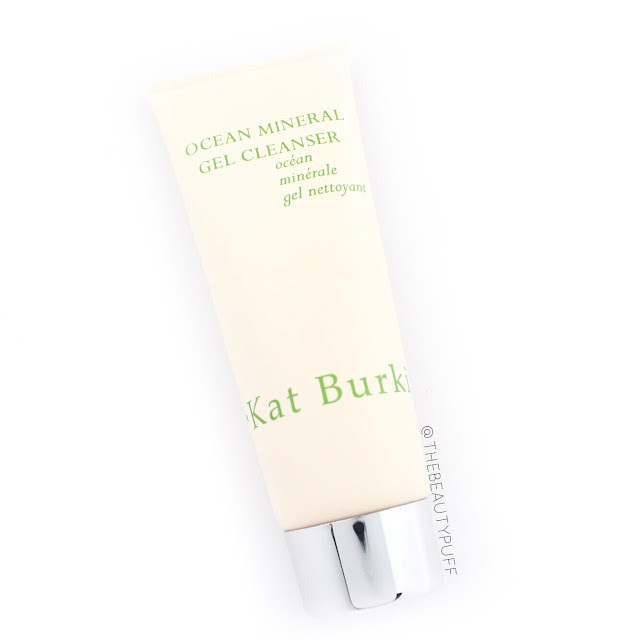 You can find the Kat Burki Ocean Mineral Gel Cleanser on their website below!